Antonio Conte singled out Eden Hazard and Olivier Giroud for special praise following their strong performances for Chelsea FC against Swansea City on Saturday. The pair were both in good form for the Blues as the west London side notched up a 1-0 victory at the Liberty Stadium thanks to Cesc Fabregas’ goal in the first half. Conte has opted to start Giroud up front for Chelsea FC in recent weeks ahead of summer signing Alvaro Morata. And the Chelsea FC boss has clearly been delighted with the way the former Arsenal striker has been linking up with Hazard since his move to the west London club in the January transfer window. 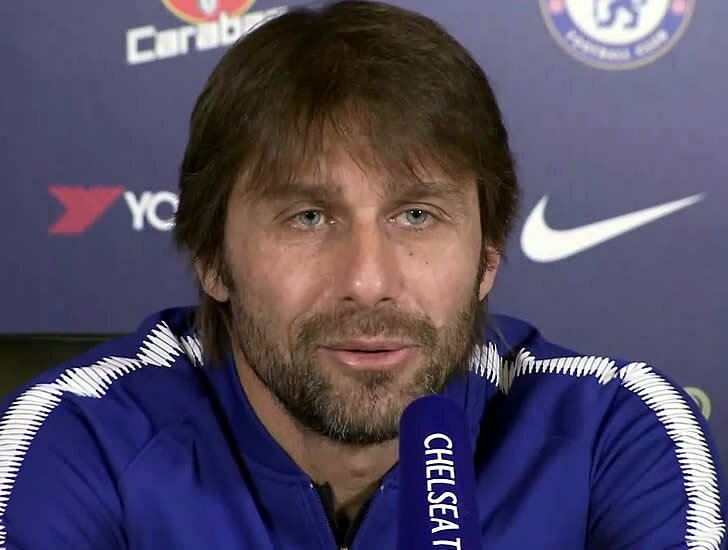 Speaking at his post-match news conference on Saturday night, Conte said: “They [Hazard and Giroud] played a very good game, they showed a good link between them. “I’m very pleased for their performance, but not only for these two players, for the team. It wasn’t easy to get three points against Swansea because they are in a good moment of form, especially at home. In the last five games they won four and they drew only one. Conte is now currently preparing his team for their crunch Premier League clash against Liverpool FC at Stamford Bridge on Sunday afternoon. Conte is also looking to steer Chelsea FC to the FA Cup trophy this season, with the Blues set to take on Manchester United in the final at Wembley later this month.